The new sourdough starter is about a month old and smells vaguely of yoghurt and yeast. It works well although I admit I am using a recipe with a little added yeast in the dough so to some it may seem more abomination than artisan. For those of you who may be crusty conoisseurs, to redeem my rolls I've used honey in place of sugar and a locally grown and processed olive oil rather than butter. The honey gives it a beautiful flavour which goes equally well with sweet and savoury, especially a slice of ham and some relish. 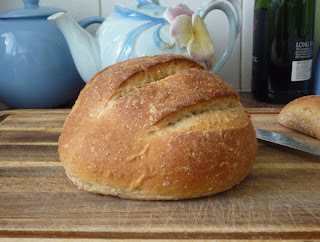 When I return to work I'm not sure how I'll go finding the time to make all our bread from scratch but at the moment our bread maker is in need of a new part for the tin and I'm on holidays so have the time to do all the mixing, kneading, proofing and shaping without the aid of modern technology. I've also never made a sourdough loaf in the bread maker so I'll have to try out some recipes before I go back to the daily grind. Let me know if you've got any tried and true recipes. 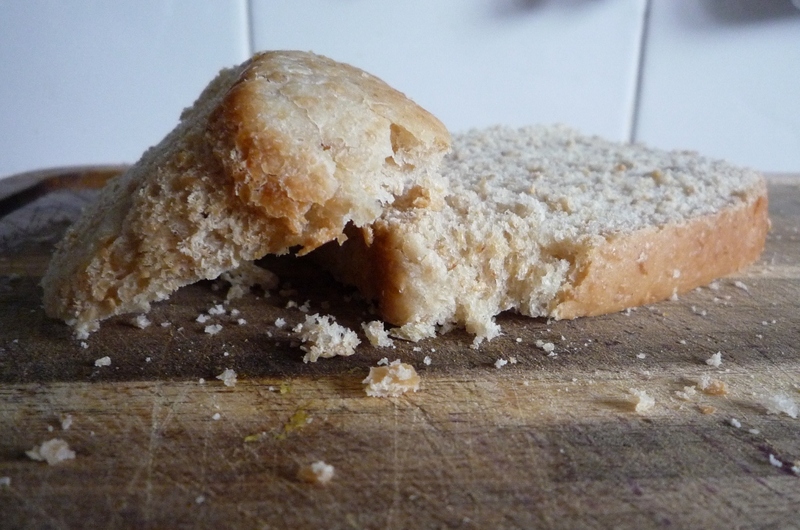 With only two people in the household who aren't the most consumptive crust chompers it can be hard to get through an entire batch of bread before it starts to go stale so I divided the last dough into two and made a couple of small cob loaves, putting one in the freezer. This time round I also remembered to slash the top to help even the rise in the oven (and make it look like a real baker's loaf) but forgot to put some water in a dish in the bottom of the oven to crisp the crust. The sourdough also makes great English muffins. They got eaten so quickly I didn't have time to get a photograph. 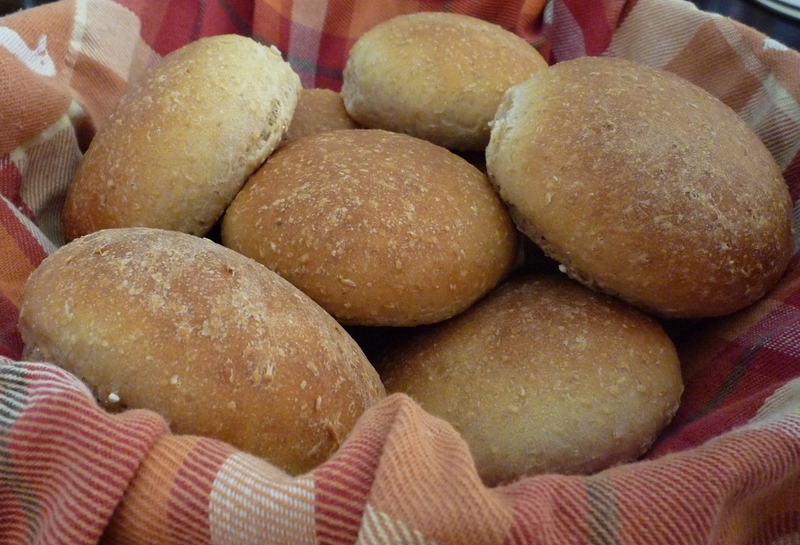 I did, however, manage to take a snap of the bread rolls before we took them to a party. Beer sounds interesting. It would add a great flavour to the bread for your typical Aussie weekend BBQ. I must try it some time (oh, and finally get the BBQ that's still sitting at my parents' place).